In this part of the two-part article, we look at how computers help in making movies such as Toy Story 3. 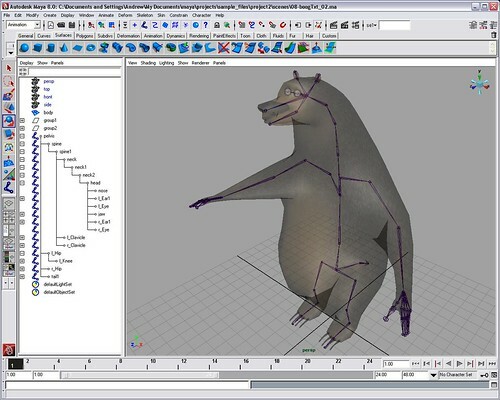 A special computer program is used to create the 3-D shape of the characters, sets and props - this is called modeling. Some of these shapes are simple (such as rectangular bricks), but some are very complex such as dragons and human bodies. The modeling step includes creating the skeleton and hinges inside the shape - similar to the joints we have inside our own bodies. This helps animators create the various complex movements and facial expressions for their characters. A single face can have as many as 100 hinges! Sometimes, when designing the characters, the artist uses real clay. Special laser equipment is used to record points on these shapes. This information is then sent to a software program which automatically recreates the 3-D shape. The layout crew choreographs these characters and using a virtual camera on the computer, creates key shots that capture the story and emotions at various points in the movie. Now the animators take over - they are like puppeteers. They use 3-D software to create the motion of each character, the skeleton's movements, facial expressions and more, between key frames in the story. Does Woody's character walk in a straight line to the door or does he trip over a toy on his way -- these are the kinds of small details that animators have to think through as they make their characters move. Remember too, that the movements have to be smooth! The sets and props are "dressed" according to the designs laid out by the Art department. The skin and hair for the characters, their costumes as well as the decorations of the sets and props are created using a 3-D rendering software (such as Pixar's Renderman). Using "digital lighting", scenes are lit very much like stage lighting. Special lighting effects such as shadows, shining reflections, and more are also created. Can you imagine all the Math that is behind this software? The "show" is more geeky than it sounds! All the 3-D characters, their movements, lighting as well as renderings of the sets and props (from the step above) are now let loose on a farm of thousands of computers. The computers draw each frame one by one, with each frame slightly different from the previous one. If Woody is moving from a standing to a sitting position -- it needs to happen gradually with every frame capturing a little bit of the motion, so that to your eye, his movements look realistic! Each frame takes 5-6 hours to create - imagine how much computing power and time it will take to create 24 frames per second of a 2-hour movie! In the article "3D TV In Our Living Rooms", you learned about how the brain takes two slightly different images from the left and right eyes to perceive a 3-D scene or movie. In a 3-D movie, both these images are shown 24 times a second on the screen. Using special glasses, each eye sees the image meant for it, allowing you to "see in 3-D". To create Toy Story 3-D, Pixar had to render each scene as if it were being watched by two "virtual eyes". Of course, that means double the amount of work done by the computers! As you can see, producing a 3-D animated movie is not easy. We are sure you have several questions. This is your chance - Bruce Kuei and Doug Dooley, who work on these magical movies at Pixar, are looking forward to answering your questions. Add your questions in the comment box below. We will collect your questions over two weeks and send them to Bruce and Doug for their response.